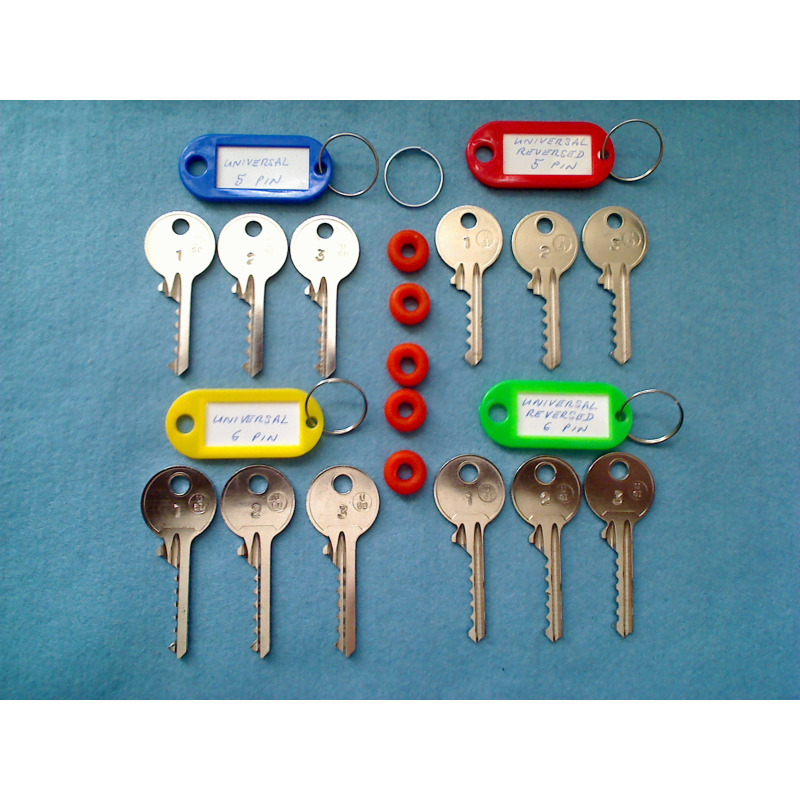 This is the ultimate universal set consisting of 12 keys in total, this is the complete set of universal keys needed for common cylinders. Universal 6 pin set consist of 3 keys, low, medium and high cuts. 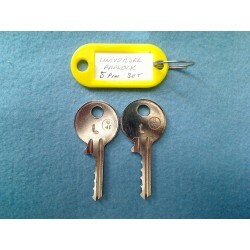 Universal 6 pin reversed set consist of 3 keys, low, medium and high cuts. 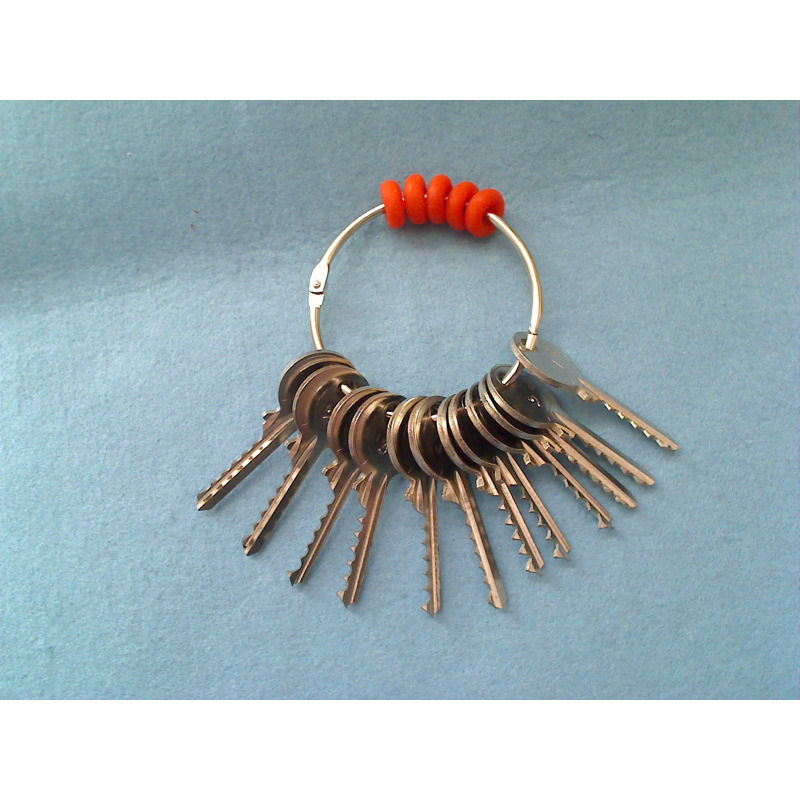 Choose from either the Tag set or a Ring set for the same price. 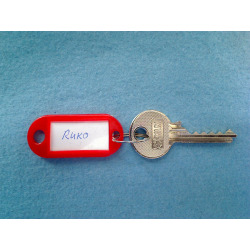 The tag set is on the left and the ring set is on the right. U-5D is the 5 pin standard profile. U-5I is the 5 pin reversed profile. 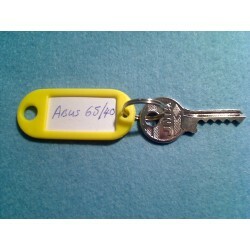 U-6D is the 6 pin standard profile. U-6I is the 6 pin reversed profile. We are also offering the shoulderless version of this set for a discounted rate of £4 per set. 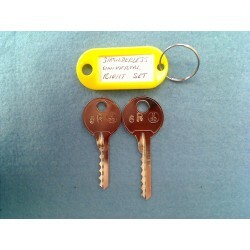 Either set also includes 5 rounded dampeners to help reset the key for multiple hits.